This month, I spent some time adding columns for the new SERVERPROPERTY options, along with adding more comments and links to the scripts. The SQL Server 2016 version will continue to be improved with more SQL Server 2016-specific queries and new columns in existing queries over the next few months as I discover interesting new things in SQL Server 2016. I am also continuing to add more relevant comments and links to the other active versions of these queries in order to help better interpret the results of these queries and save me time in looking up supporting documentation. Since SQL Server 2008 R2 and older are out of Mainstream support from Microsoft (and because fewer of my customers are using these old versions of SQL Server), I am not going to be updating the scripts for these older versions of SQL Server every single month going forward. I started this policy seven months ago, and so far, I have not heard any complaints. Finally, if you want to get even more information about how to run and interpret these queries, you should consider attending my half-day session Dr. DMV’s Troubleshooting Toolkit at the PASS Summit 2015 starting at 9:30AM on Friday, Oct 30, 2015 in Seattle. On October 19, 2015, Microsoft released SQL Server 2014 Service Pack 1 Cumulative Update 3 (Build 12.0.4425.19). This CU has 36 updates in the public fix list. If you are on the Service Pack 1 branch of SQL Server 2014 (which is where you should be by now, in my opinion), then you should be planning how you will test and deploy this cumulative update on your database servers in a timely fashion. If you are still on the RTM branch of SQL Server 2014, Microsoft has also released SQL Server 2014 RTM Cumulative Update 10 (Build 12.0.2556.4), which has 30 updates in the public fix list. The official Microsoft SQL Server 2014 Build versions list is here, while the SQLSentry SQL Server 2014 Build List is here. I also have a link page, that points to updated posts about the more interesting hotfixes in cumulative updates for the various active SQL Server versions and branches called SQL Server Cumulative Update Highlights. 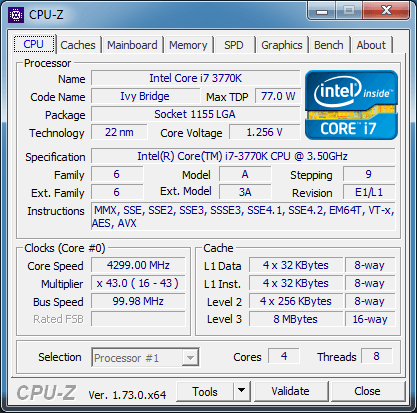 Back when I started at SQLskills in May of 2012, I built myself a pretty nice Z77 chipset system with an Intel Core i7-3770K Ivy Bridge processor and 32GB of RAM, running Windows 7 Enterprise Edition. 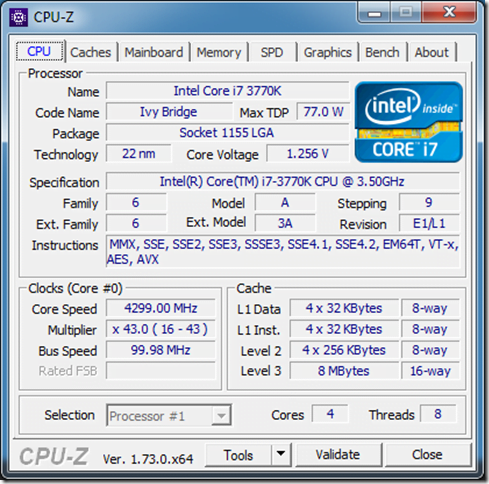 This system uses an ASUS P8Z77-V Deluxe motherboard, with one 512GB OCZ Vertex 4 SSD. It was about the fastest mainstream system that I could build 3.5 years ago. 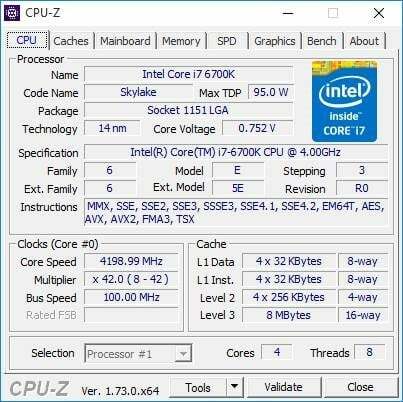 It is mildly overclocked, to 4.3GHz, and it has been extremely reliable over the years as I have used it for much of my daily work. 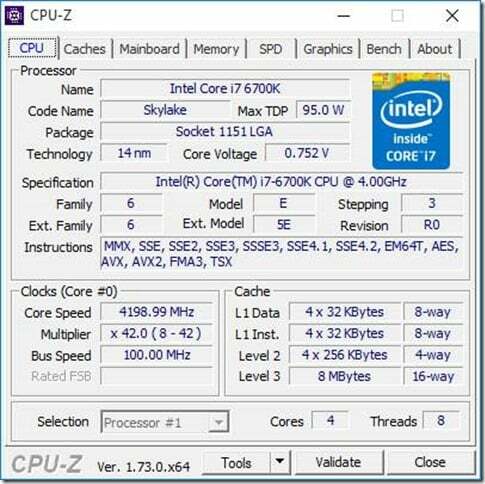 Even though this system is still pretty fast, I felt like I could do better in some areas, with a current generation Z170 chipset system with an Intel Core i7-6700K Skylake processor and 64GB of RAM. Last Saturday, I built this new system, and got Windows 10 Professional installed. 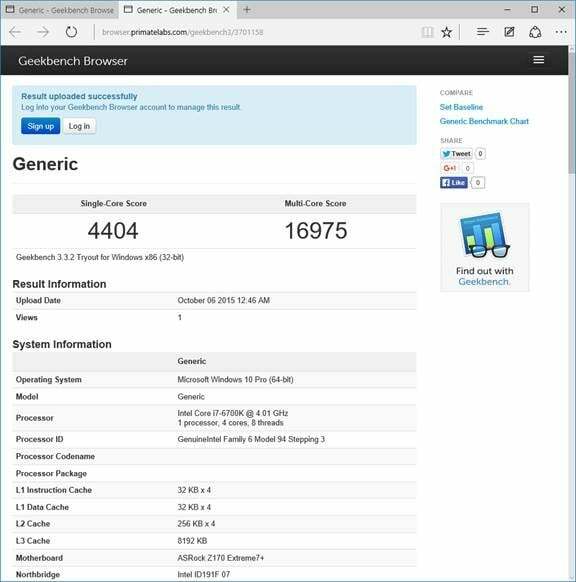 Initially, I’ll be using the Intel integrated graphics, but I may end up using an EVGA Geforce GTX 960 video card. But then again, I may not, since I want to reduce my power usage and have more PCIe lanes available for storage use. I spent a couple of hours putting this system together, doing a pretty careful job with the cable management. When I had it ready to turn on for the first time (without putting the case sides on, which is always bad luck), I was rewarded with the CPU and case fans spinning, but no visible POST or video output at all. Luckily, the ASRock motherboard has a built-in LED diagnostic display, which was showing a code 55 error. Looking this up in the motherboard manual, I discovered that this was a memory-related issue. I removed two of the 16GB DDR4 RAM modules, and powered it back up, and this time I got a POST. Going into the UEFI BIOS setup, I discovered that my ASRock Z170 Extreme 7+ motherboard had the initial 1.4 BIOS, while the latest version was 1.7. One of the fixes listed for version 1.7 is “improve DRAM compatibility”. 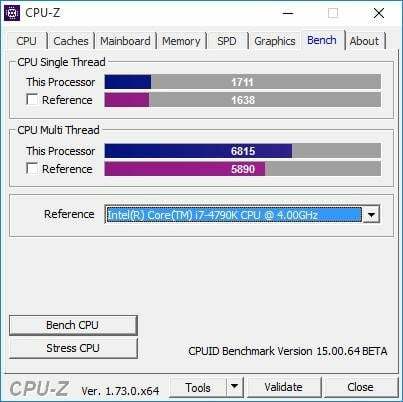 I was able to flash the BIOS to 1.7 using the Instant Flash utility in the UEFI BIOS setup, and then I was able to use all four 16GB DDR4 RAM modules. Next I created a RAID 1 array with my two 512GB Samsung 850 Pro SSDs, using the Intel RAID controller that is built-in to the Z170 chipset. I made sure the Intel 750 was not installed yet, and then I used an old USB optical drive to install Windows 10 Professional on to the RAID 1 array. 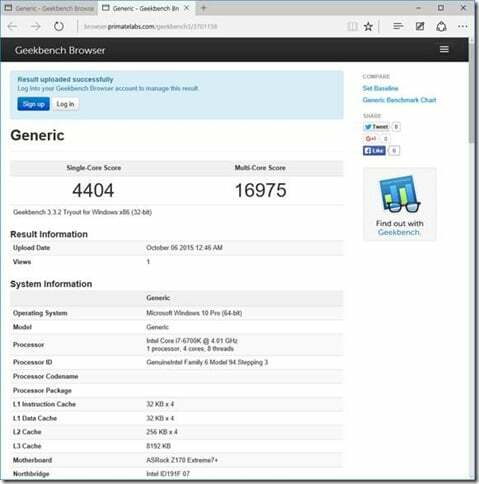 Windows 10 Professional installed default drivers for the dual Intel 1GB NICs, so I was able to get on the internet and download and install all of the latest Windows 10 64-bit drivers for this motherboard from the ASRock web site. Then I used Windows and Microsoft Update to get Windows 10 fully patched. 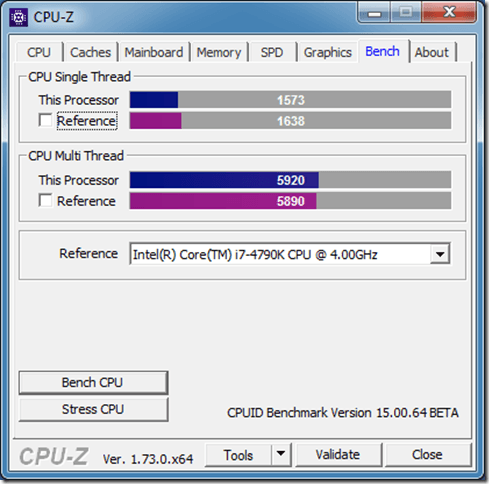 Keep in mind, that beyond enabling XMP 2.1, I have not overclocked the new system yet. The new system is about 10-20% faster than the old system, from a CPU and memory perspective, depending on which benchmark you choose. 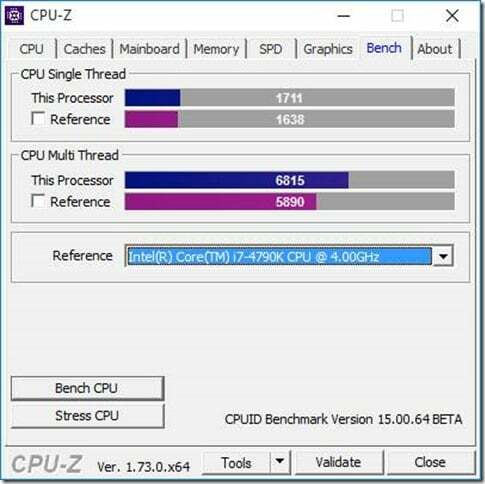 In some respects, this is disappointing, but the real advantage of the new system is having twice the RAM, and a lot more potential I/O bandwidth with the Z170 Express chipset. 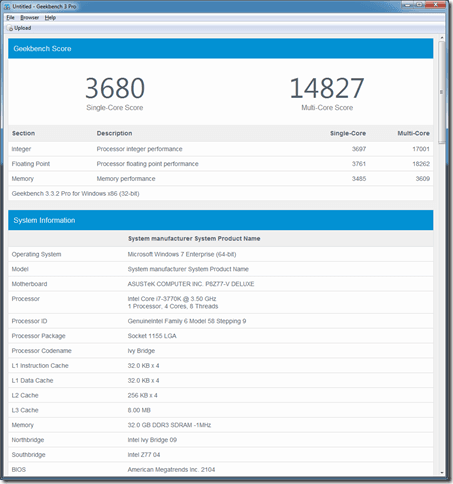 With Windows 10 Professional, I have Hyper-V support (and the Core i7-6700K supports VT-x and VT-d), so I can run more VMs simultaneously. I also have two Intel 1GB NICS, which I plan to use together with NIC teaming in Windows 10. 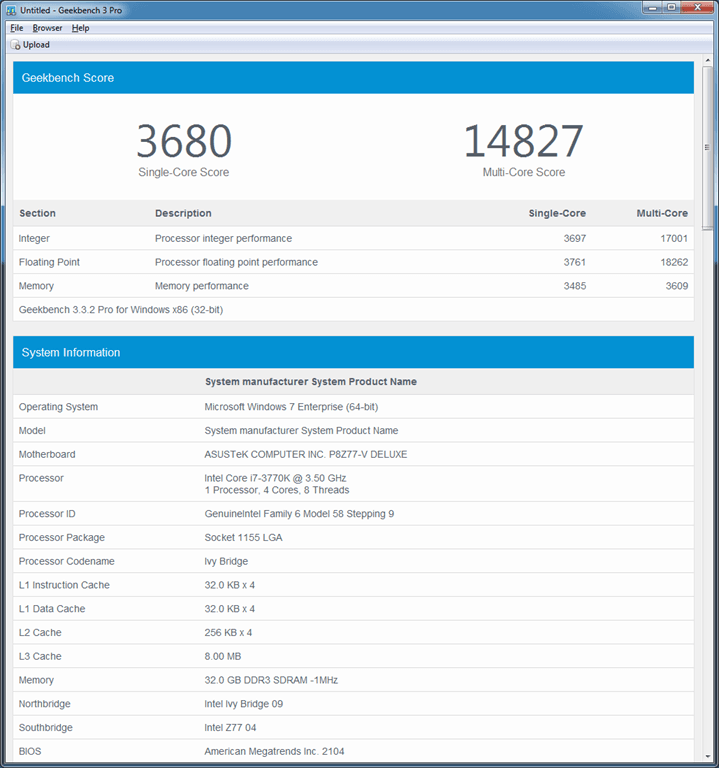 I plan on getting at least one of the upcoming 512GB Samsung 950 Pro M.2 NVMe cards (and this motherboard has three Ultra M.2 slots) when they are released in October/November, so I will have plenty of disk space and I/O performance for the VMs.